Too many lists of Yiddish insults define almost all of them similarly. But the true genius of a Yiddish insult is in its specificity— how, exactly, is the person being insulted? With Yiddish, one may be quite precise in one’s put-downs. Remember, the sharper the knife, the deeper the cut. Alrightnik—(English, “all right”) A social climber, especially one who forgets his friends and origins upon achieving success. Am Ha’Aretz— (Hebrew: nation of the land) A country bumpkin or local yokel. Apikoros— (Epicurus, the Greek philosopher) Not an “epicure” as in English, but a heretic. Ba’al Agoleh— (H: wagon driver) Someone whose brains are in his muscles. Barimer— (Yiddish: fame) A braggart, an egotist. Beheymah— (H: cattle) An ill-mannered, ox-like person; a bull in a china shop. Chalerya— (Y: one with cholera) A maniac. Farbissiner— (Y: embittered) A sourpuss. Fresser— (Y: eat greedily) A glutton. Golem— (from the folk-tale) A mindless person, a zombie, more robot than human. Grubber Yung— (Y: grubby youth) A punk. Karger— (Y: cunning) A miser, a cheapskate. Koch-leffel— (Y: a cooking ladel) One who “stirs the pot” with rumors and innuendo. 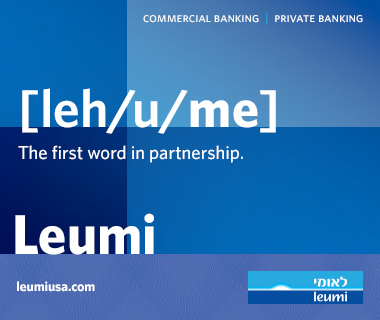 Kuni Lemel— (name of a fictional character) One who gets everything backward. Kvetch— (Y: creak) A whiner. Can also be used as a verb. Luftmensch— (Y: air man) One who seemingly lives on nothing, a drifter. Mazik— (H: harmful) A rascal or imp. Usually said of a cutely mischievous child. Menuval— (H: scoundrel) A truly detestable person, whose actions are inexcusable. Nar— (H: lad) One acting like an adolescent. “Narishkeit” is the stuff associated with that age, such as video games and comic books. Nebbish— (H: pity) A pathetic person. Noch-shlepper— (Y: to drag behind) A coat-tail rider, a tag-along. Nudge— (Y: nauseate) Not the English sense of “to move something slightly,” or even “to pester,” but someone highly annoying by his mere presence. Nudnik— (Nudge) One who nauseates, who makes others uncomfortable. Paskudnyak— (Y: disgusting) A cruel person, one who enjoys making others suffer. This is the harshest of all Yiddish insults. Schlemiel— (H: Shlomo) A loser. The Shlomo in question is not King Solomon, but a particular ancient general who never won a battle. Schlep— (Y: to drag, lug) A dawdler, a lollygagger. Americanized to “schlepper.” “Schlep” can also be a verb. Schlump— (Y: to slump) One with bad posture, possibly caused by a poor self-image. Schmegegge— (Y: disappointment) An incompetent. Schmendrik— (Y: from a fictional character) A useless, ineffectual person. Schnorrer— (Y: to beg) Not just a panhandler, but a mooch, a user. Shikor— (H: drunk) Not used for someone diagnosed as an alcoholic, merely someone who is drunk at the moment. Can also be used as an adjective. Tipesh— (H: fool) A fool, a generally unaware person. Vilde chaya— (Y: wild beast) An out-of-control, violent person. Yente— (from a fictional character) A gossip-monger. Yold— (H: child) A naïve person. Yutz— (original unknown) A socially awkward, embarrassing person. So there you have it. The next time your brother annoys you, you’ll be able to tell him exactly how he has done so, and what kind of insensitivity or cluelessness he is displaying, and what category of jerk he is. I’m sure he’ll appreciate it.